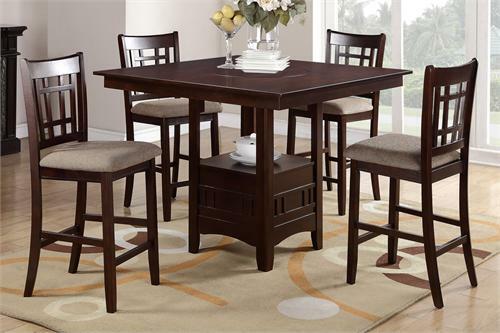 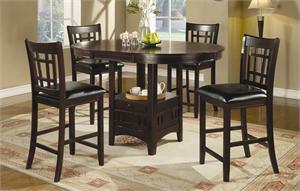 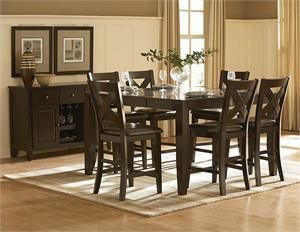 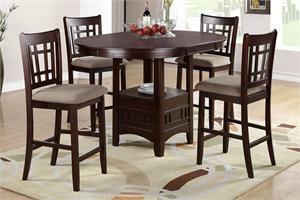 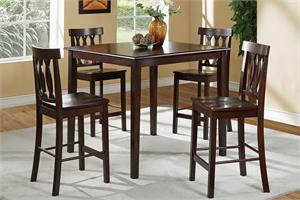 This stylish counter height dining table & chair set include one 36" Counter Height Table plus four 41" height chairs. 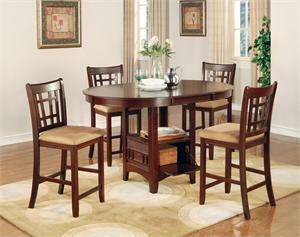 Made from solid wood, veneer and microfiber seats. 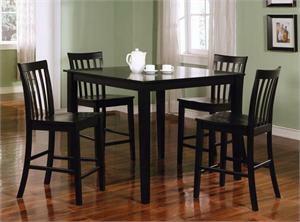 The square table top has a built-In Lazy-Susan. 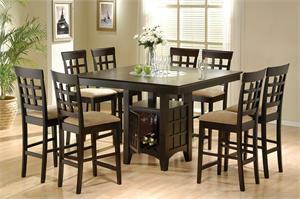 Sturdy construction with a warm finish. 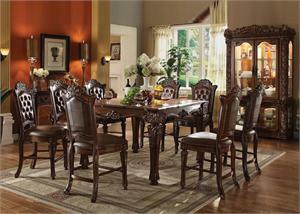 Make this set your today and beautify the decor of your dining room.